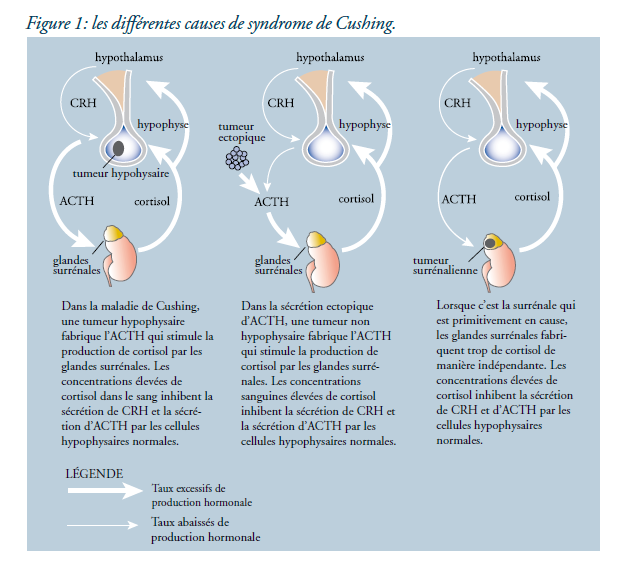 La maladie de Cushing ou le Syndrome de Cushing, sont une maladie endocrinienne que l’on appelle également hypercorticisme. Elle se caractérise par une production trop importante de cortisol dans l’organisme. There is a lot of outdated information on the web about Cushing’s dogs needing a low-fiber, low-purine diet. It all appears to come from a single source, which references the third edition of Small Animal Clinical Nutrition (Lewis, et al, 1987). The newer fourth edition (Hand, et al, 2000), however, has no reference to purines, nor does it make any sense to restrict purines for dogs with Cushing’s.